Now that Alex is in the know about the deadly vampires that live-and hunt-around his boarding school, everything is different. Putting his talents to use, Alex is training with the Polidorium to become a vampire hunter, just like his Van Helsing ancestors. Sure, he's only fourteen, but c'mon: This runs in his blood. But Alex is wondering if he'll live long enough to succeed. His archnemesis Elle, a vampire whose youthful appearance and blond hair disguise a rage that's directed at him, is out to get him before a powerful leader called Ultravox arrives on the scene. Ultravox specializes in assassinations, but who is he targeting? As he dodges Elle's attacks, Alex is on a mission to uncover Ultravox's deadly plan before his friends and his school become collateral damage. There's no time to report back; innocent lives hang in the balance, and it's on Alex to act now-or else. 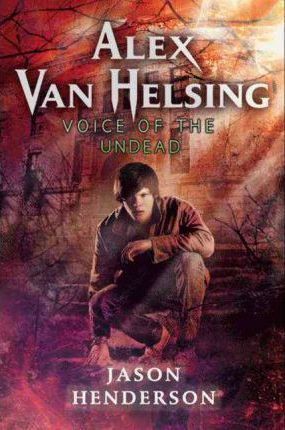 Jason Henderson is the author of Alex Van Helsing: Vampire Rising, which was named Best of 2010 by VOYA, and Alex Van Helsing: Voice Of The Undead. He has written for games and comic books, including the Activision game Wolfenstein, the vampire action comic series Sword of Dracula, and the manga series Psy-Comm.